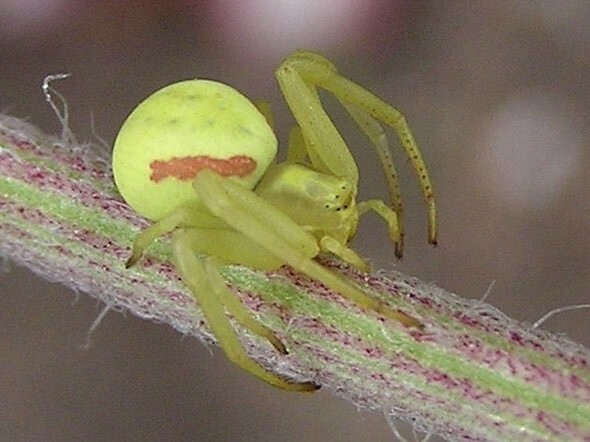 The Goldenrod Crab Spider is a hunting or ambush spider. 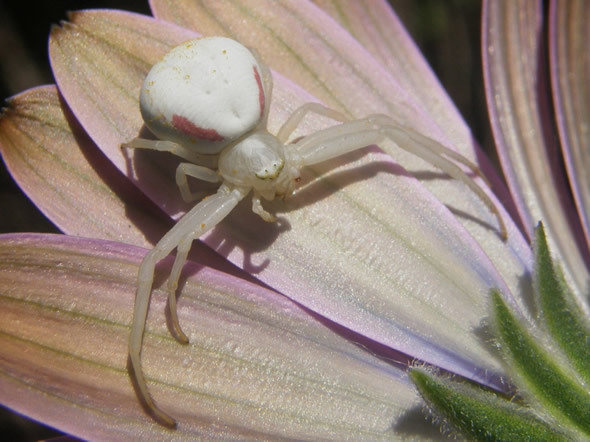 Depending on the colour of the flower in which it is hunting, the spider can be yellow or white. The useful ability to change colour by secreting liquid pigments into the outer layer of its body.